and didn’t announce it until after WWI. in our water, in our food, in our air. though a small part stays to answer. it decays, and so do we. 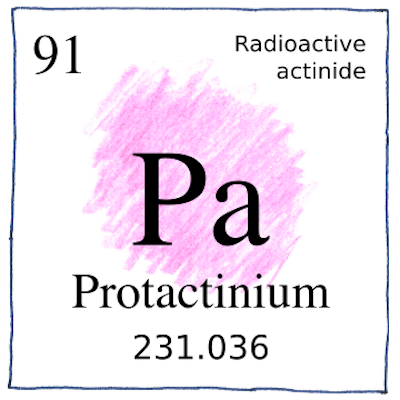 Protractinium is highly radioactive and extremely toxic, so even though its oxides and other chemical compounds have a variety of colors and crystal structures, you won’t see it advertised in tomorrow’s dinnerware or playthings, although it might well be there.